The Bimber distillery was founded in 2015 and takes its name from the Polish for moonshine. 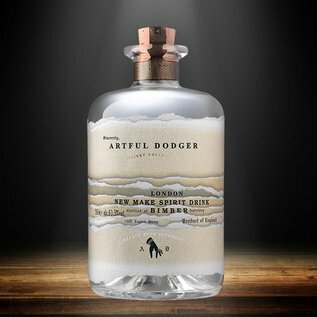 The Artful Dodger was keen to get his sticky-fingered hands on some good old-fashioned firewater to fence to the speakeasies of London town. This new make spirit is bursting with foraged dark berry flavours. Perfectly suited in a long drink with tonic water and a handful of blackberries, or muddled up in a Bramble or Martini.